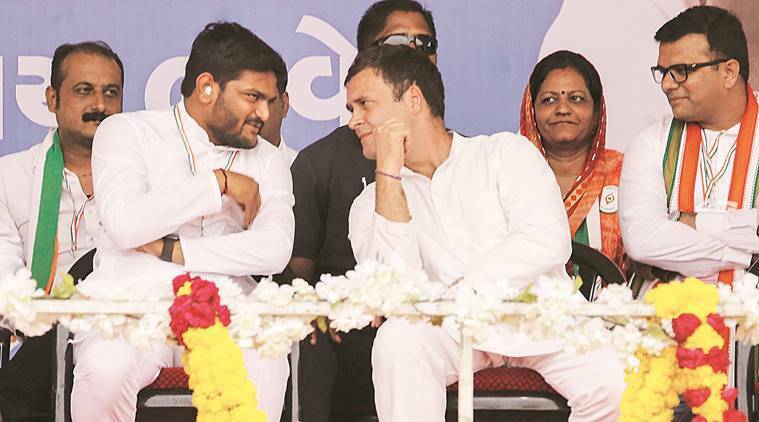 Congress president Rahul Gandhi on Monday said funds for his party’s “NYAY” (Nyuntam Aay Yojana) — the minimum income guarantee scheme — will come from the pockets of fugitives like Vijay Mallya, Nirav Modi and Mehul Choksi. The Congress, in its manifesto for the Lok Sabha elections, has said NYAY assures up to Rs 72,000 a year income to 20 per cent of India’s poorest families if the party is voted to power. He said that Congress would stop this practice and recover loan dues from big defaulters to fund NYAY. “Whenever we talk about waving loans of farmers, Modi asks where will the money come from? When we talk about NYAY, he asks where will the money come from? If we walk about giving right prices to farmer, he asks the same question. Whenever we propose to do something for the poor, Narendra Modi asks where the money will come from. I am telling you where it will come from. Anil Ambani got Rafale (fighter jet) contract and Modi credited Rs 35,000 crore in his bank account. Adani gets land somewhere everyday. On the day of Balakot attack recently, Modi presented six airports to Adani. Brothers and sister, I am telling you, funds for NYAY scheme will come from bank accounts of thieves like Mehul Choksi, Nirav Modi, Lalit Modi, Vijay Malya etc,” Gandhi said. The Congress president said that his party would not raise tax burden of the middle class to fund NYAY. “The money would not be squeezed from the middle class. Congress would not raise income tax rates,” he said .